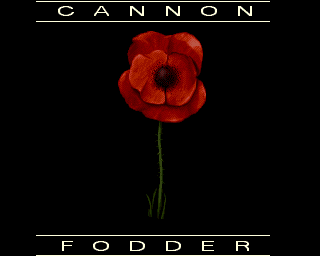 Well today I was playing an online Video Game Music quiz and I happened upon the opening theme of Cannon Fodder. I’ll just say that I had no idea what was coming there, it starts out with ska chords and goes into “♫ War, never been so much fun…♫” So for the focus of this article I will talk about some attention grabbing intros. Not all of them need take the Cannon Fodder approach but all of them have some quality that makes them unforgettable. You are currently browsing the archives for the FPS category.